Static types that just work. August 21, 2017: Ceylon is moving to the Eclipse Foundation! Read about the move to Eclipse. Ceylon 1.3.3 and Ceylon IDE 1.3.3 are now available! Eclipse Ceylon is a language for writing large programs in teams. To learn more, read the 15 minute quick intro, before taking the tour of the language. The best way to try it out is to download the IDE and write some code. Then you can explore the modules in Ceylon Herd. Or you can try it online. This is a community project. Everything we produce is open source and all our work happens out in the open on GitHub and GitHub. Eclipse Ceylon's powerful flow-sensitive static type system catches many bugs while letting you express more, more easily: union and intersection types, tuples, function types, mixin inheritance, enumerated types, and reified generics. We spend more time reading other people's code than writing our own. Therefore, Eclipse Ceylon prioritizes readability, via a highly regular syntax, support for treelike structures, and elegant syntax sugar where appropriate. Eclipse Ceylon controls complexity with clarity. The language eschews magical implicit features with ambiguous corner cases. The compiler follows simple, intuitive rules and produces meaningful errors. Modularity is at the very core of the language, SDK, and tooling. The compiler produces module archives which are then distributed via a next-generation repository architecture with Ceylon Herd as its social focus point. Static typing is the technology that enables killer tools. 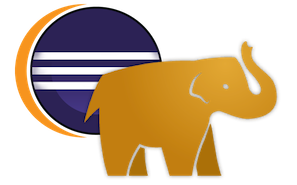 Eclipse Ceylon comes with a complete command line toolset, and an awesome Eclipse based IDE with searching, refactoring, quick fixes + assists, autocompletion, debugging, and much more.